A new schedule that dramatically increases service between Hyde Park and downtown Metra stations went into effect yesterday. Trains will arrive every 20 minutes through most of the day on weekdays, increasing service to near-CTA frequency on the traditionally commuter-oriented trains. Before the changes, up to an hour passed between some midday trains. The increase in frequency of trains between downtown and Hyde Park comes at the expense of service further down the line. At least 17 trains were cut from the branch line into the South Shore neighborhood and on the Blue Island branch that cuts past the city’s southwest border. The frequency of midday trains serving Metra stations in Pullman and Grand Crossing has been doubled from once every two hours to once an hour. A Metra press release announcing the change pointed out that Hyde Park’s Metra use had bucked a trend of overall ridership decline for trains on the Metra Electric District, which branches south of Hyde Park into three lines serving the South Side and southern suburbs. The cut trains served, on average, fewer than 10 passengers a day, according to Metra. Commuters and advocacy groups along the Blue Island and South Chicago branches have expressed concerns about the cuts. Reclaiming South Shore for All, a South Shore community group, expressed concerns that the cuts could snowball, depressing ridership on the line as a whole and justifying further cuts. “We have taken all the feedback we received from customers regarding our proposed new schedule and made adjustments where possible. The goal of this process was to create a schedule that uses our trains in a more efficient way and enhances service without impacting our budget. We are trying to stem the loss of ridership on the Metra Electric Line, which has been declining for years,” Metra Executive Director and CEO Don Orseno was quoted as saying in a press release. 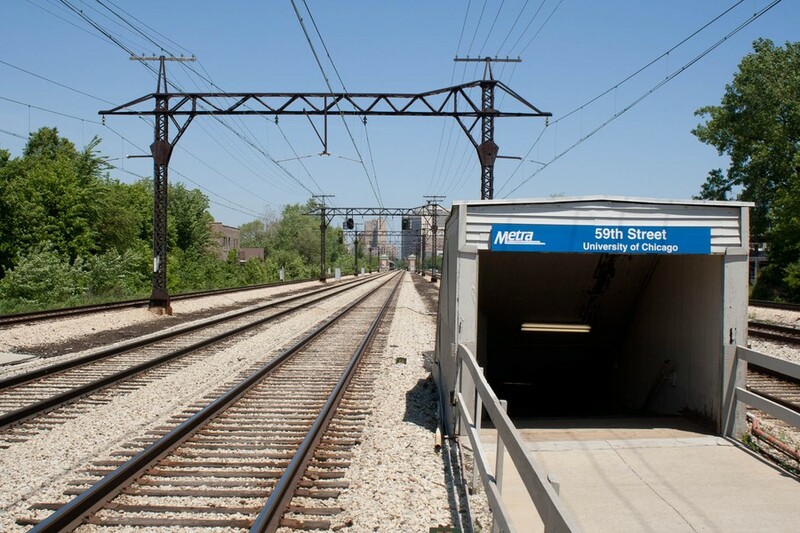 Writers for the South Side Weekly and Streets Blog Chicago have used the cuts as an opportunity to revisit the path not taken: integration of the Electric District into the CTA, with a compatible toll system and much more frequent trains. The proposal, sometimes called the Gray Line, has been talked about for years.